I'm slightly behind on my Weekly Gratitude postings, but hope to get somewhat caught up this weekend. March's gratitude theme was [home] and I intend to pull together at least one more page for that. April's theme is [spring] which I will start this weekend. 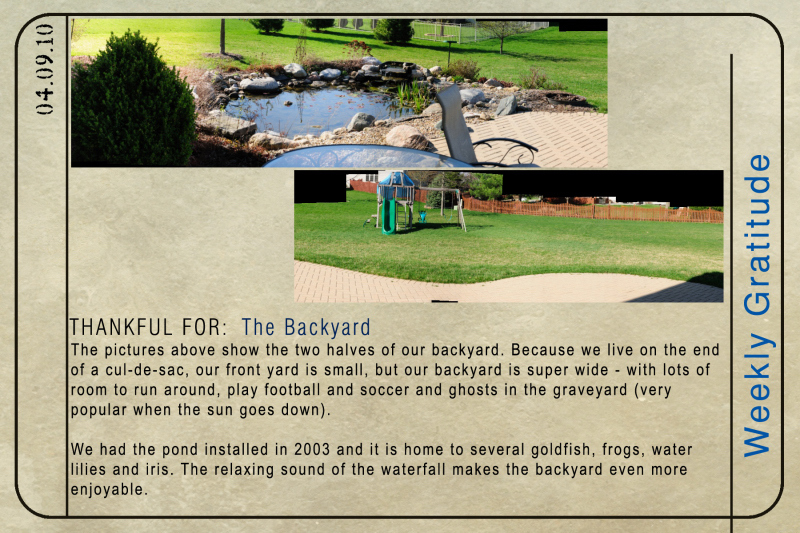 For more information on this project, head over to the Weekly Gratitude blog.